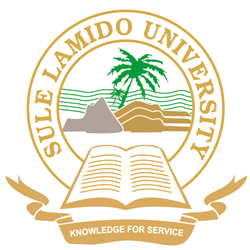 Sule Lamido University, SLU Supplementary UTME and Direct Entry Admission List for 2018/2019 Academic Session Successfully Uploaded Online. This is to inform all candidates who applied for admission into the Sule Lamido University (SLU), Kafin Hausa for the 2018/19 Academic Session and were not offered admission in the Merit/Provisional Admission List are by this notice informed that the supplementary admission list has been released. SLU Supplementary UTME and Direct Entry Admission List has been uploaded online and can be downloaded in PDF. Collection of Admission Letters and Registration are scheduled to commence on Monday, 5th to Friday, 9th November, 2018 at Room A11, Faculty Building, Sule Lamido University Kafin Hausa.